When I would visit my grandma at her retirement complex, I would watch the continuous parade of short white busses shuttling residents from one day-trip to the next. My grandmother would only sign up for these excursions a few times a year as my family was usually available to drive her to local events or attractions. For whatever reason, my parents decided to join her on a day trip to a casino and piled onto one of the tiny shuttles — my father said it was one of the worst trips of his life. It was snowing outside, but it was sweltering inside the bus. He reached to crack one of the windows. As the cool breeze trickled in, he remarked that everyone grabbed at their car blankets or coats and bundled themselves, while glaring at him. For the remainder of the ride, my dad kept his cheek plastered to the cool glass. The ride back to the retirement community was quiet to say the least. These unlucky gamblers had “lost their shirts” at the casino unlike my father who had literally lost his shirt on the bus (at that point, he may have had a heat stroke.) In a whisper, my grandma confided in my parents that the riders had already gambled away their Social Security check or their rent money during the previous casino trip. The elderly parents would appeal to their adult children and ask for a loan. Yet, the unlucky gamblers were back the next week, pulling handles. From what I gathered, it was a vicious cycle. Many of their adult kids convinced them that they couldn’t live on their own and they left for more supervised living arrangements. Unfortunately, gambling problems are prevalent among senior citizens in the United States. According to a 2013 study at the University of Pennsylvania, 70 percent of adults 65 years and older had gambled in the previous year and one in 11 seniors had bet more than they could afford to lose. While gambling or gaming can be a safe way to have fun, it takes little effort to lose thousands of dollars on the tables or in the slots. The flashing lights, meal comps, free drinks, chiming bells and complimentary hotel rooms can lure almost anyone to test their luck. However, casinos implement senior-friendly additions that seal the deal, such as wheelchair rentals, complimentary valet parking and rewards based on age. With all of the excitement and conveniences, it is easy to see why seniors would be eager to go. 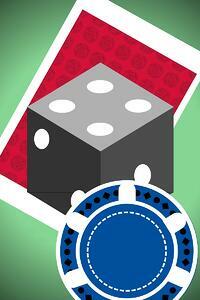 As the gambler’s age increases, so does the risk of squandering their finances. For instance, dementia, which primarily affects older adults, can lead to decreased inhibitions and poor judgment at the gaming tables. According to an article in Social Work Today magazine, casinos may become an escape for seniors from emotional strain, such as losing a spouse, and physical pain, such as a chronic illness. The festive atmosphere of a casino creates opportunities for seniors to have social interactions, as well. Missing valuables. If jewelry, collectors’ items or anything else of worth has disappeared, the gambler may have pawned the items for more funds or could be repaying a debt. Changes in attitude and personality. Problem gambling can coincide with anxiety disorders and depression, and it can become a means of escape from those feelings. Secrecy when discussing time and money. Problem gamblers don’t want to admit to losing money or explain where a surge of money came from. They may also lie about not being at the casino or seemingly forget large blocks of time. If you suspect your loved one has a gambling problem, please call the NCPG hotline at 1-800-522-4700. Haley Kotwicki has many years of experience with family caregiving, especially with older adults. She has a background in journalism and is currently the copy editor at ComForCare. Haley blends the latest research, practical information and humor into inspirational posts.